Grab Minos Strategos when you can. Today, in Episode 36* of the Clockwork Game Design Podcast, I had a great conversation with BrainGoodGames‘ Brett Lowey. If you don’t already know BrainGoodGames, they make some of the best single-player strategy games out there. 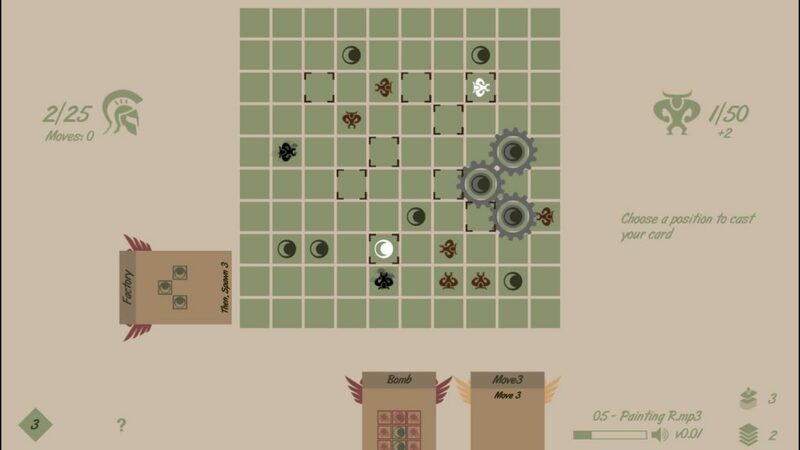 All four of Brett’s games—Militia, Axes & Acres, Skyboats, as well as his latest, Minos Strategos—are available on Steam. But making great games isn’t necessarily enough for me to want to have a conversation with someone. What made me interested was “BrainGoodGames’ Design Commandments” which he posted on his site recently. The conversation was great and went to a bunch of interesting places. We covered his commandments, of course, but discussed his origins and what he considers to be the successes and failures of his games. I should mention also that Brett is one of the editors over at gamedesigntheory.org, the new site I recently launched that highlights current game design bloggers and media producers. *PS I think I said it’s 35 in the episode itself – ignore me!